Train services between Tai Seng and Mountbatten on the Circle Line were disrupted due to a “signalling fault” this evening and services were temporaril suspended for about 30 minutes. After the fault occurred around 5.55pm today, SMRT asked commuters to “look for alternative routes” as it posted additional travel times for those travelling between Stadium and Bartley stations. As the affected stretch expanded to include Mountbatten station, SMRT announced that free regular bus services were available between the Stadium and Bartley stations. 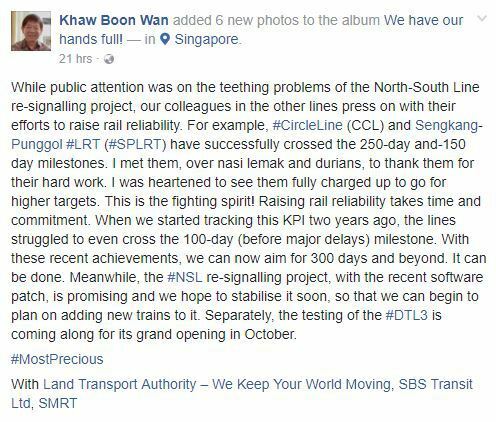 This latest train service breakdown comes after a relatively quiet stretch without service disruptions for rail operator, SMRT. 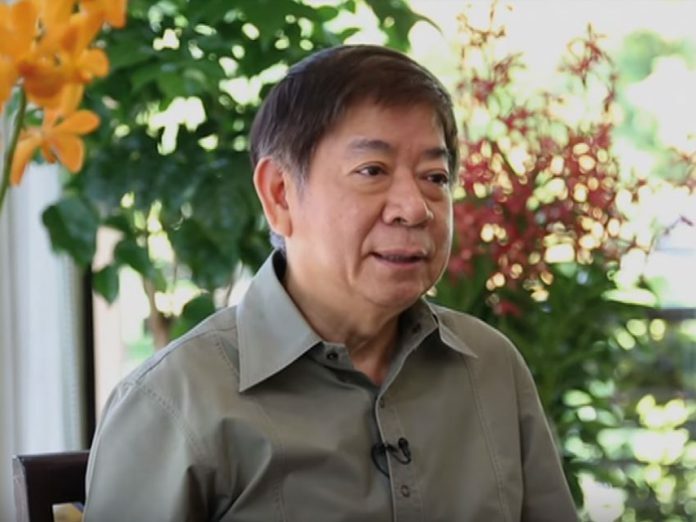 Interestingly, this train service breakdown occurred just three days after Transport Minister Khaw Boon Wan was spotted in a train welcoming new SMRT chief executive Neo Kian Hong to the team and a week after the Minister appeared at the Holland Village station on the Circle Line for a security exercise, giving rise to speculation that the Khaw curse has struck again. 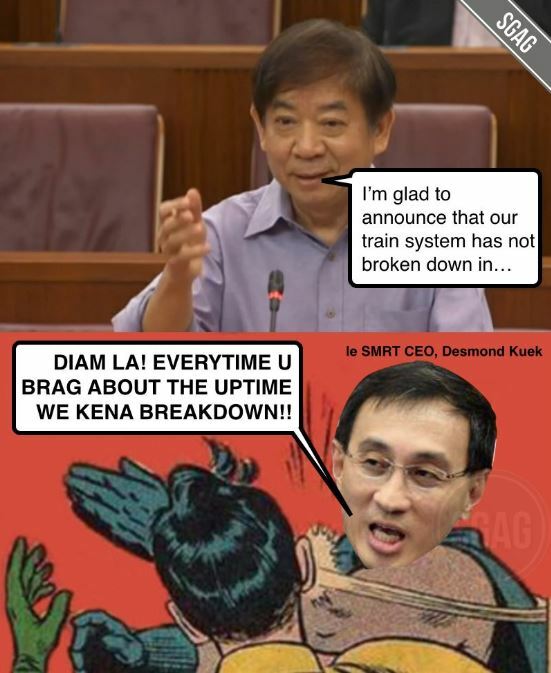 The “Khaw curse” is what some Singaporeans have dubbed tongue-in-cheek for the alleged phenomenon of trains breaking down whenever the Transport Minister speaks about the train system or is spotted on board train. [BPLRT] No train service betwn #ChoaChuKang to #BukitPanjang due to a train fault. Free regular bus & bus bridging services are available.